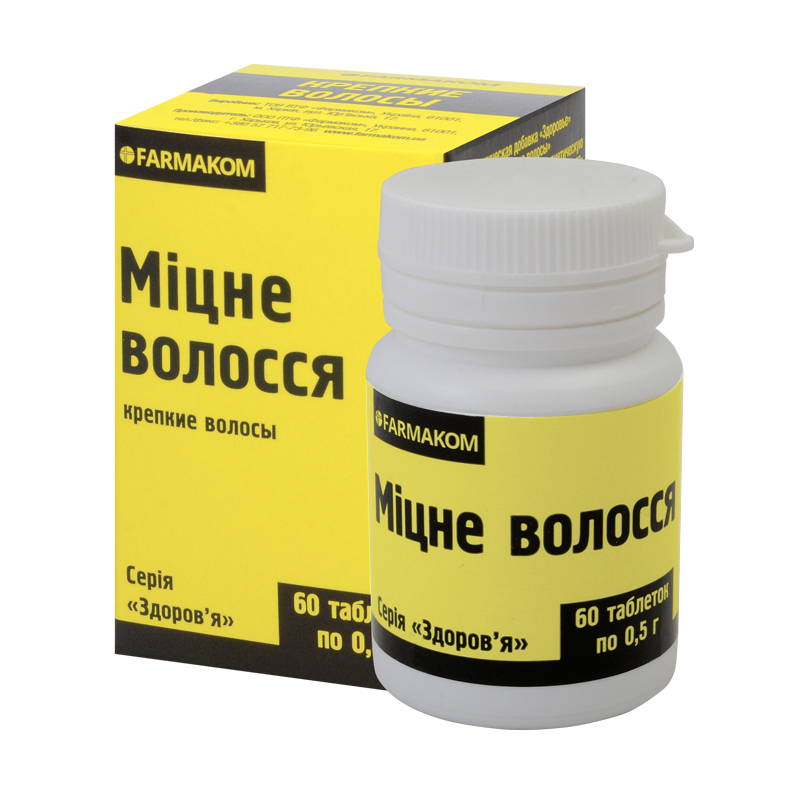 It is recommended as a source of vitamins, promoting hair growth and improvement of its state. Hop cones, vitamin mixture, brewer’s yeast autolysate, ascorbic acid, zinc oxide, calcium carbonate, excipients. Zinc and calcium are of vital importance for hair growth stimulation. Adults take 1 tablet twice a day with food, wash down with water. Term of use – three weeks. Individual sensitivity to certain components, children, pregnancy and lactation. Proteins – 0.3 g, fats – 0 g, carbohydrates 14.6 g.